Each year Kenilworth Aquatic Gardens grows ponds full of lotus plants. These plants bloom during the typically hot, humid summer. If you happen to be there on the right type of day, especially early in the morning when the sun is low and the light is soft, you can create some very nice images. When the lotus flowers are open and the sun back lights the flowers they glow a beautiful pink color. This particular morning I had found a nice looking flower with a large green leaf behind it. The leaf almost perfectly framed the pink flower, providing a striking contrast between the green and red/pink. The sun was behind the lotus and the sky was cloudy giving off a soft light that provided the glow I was after. After lining up the flower with the leaf in the background I waited. Bumble bees were flying from flower to flower, and my goal was to capture a bumble bee in flight above the lotus. Depth of field was a challenge. I was shooting wide open with a 70-200mm f/2.8 lens and a 2x teleconverter giving me an aperture of f/5.6. This was to assure the background was just a soft out of focus area of green tones. There wasn’t a lot of light and I kept the ISO at 200 giving me a shutter speed of 1/250 second. I probably should have raised the ISO for a faster shutter speed to increase my odds of capturing a flying bumble bee in focus. Strangely enough, the very first image I made was my favorite of that session. It captured a mostly in focus bumble bee with a nice orange batch of pollen, wings in motion, just over the core of the lotus flower and between two pink petals. I kept shooting, trying to improve on the first image, but none of the following images captured to me, what the first image had. Below is a selection of some of the other unprocessed images. In several cases I only captured part of the bee. In some it was more out of focus. In a couple the bee was above the flower with green background. I much preferred the bee against the soft pink/white background. It helped the bee pop out just as the pink of the flower against the green background helped the flower pop. Sometimes you get lucky, as I did this time, and you capture your favorite image the first time. But more often than not the best image doesn’t come until later, after you’ve made a number of shots, perhaps tried different perspectives, changed angle, tried different focal lengths, apertures, shutter speeds. So even if you think you’ve captured a great image it almost always pays to keep shooting, keep experimenting, keep practicing. And always be aware of the light. Without the right light this image would not have worked. To process the final image I darkened the background a bit, adding a vignette to help focus the eye on the glowing lotus flower. I increased the vibrance just a touch to accentuate the pinks and yellows, and added a slight tone curve to provide a bit more contrast. I felt this image was nice enough out of camera it didn’t require much processing. Below is the final image. 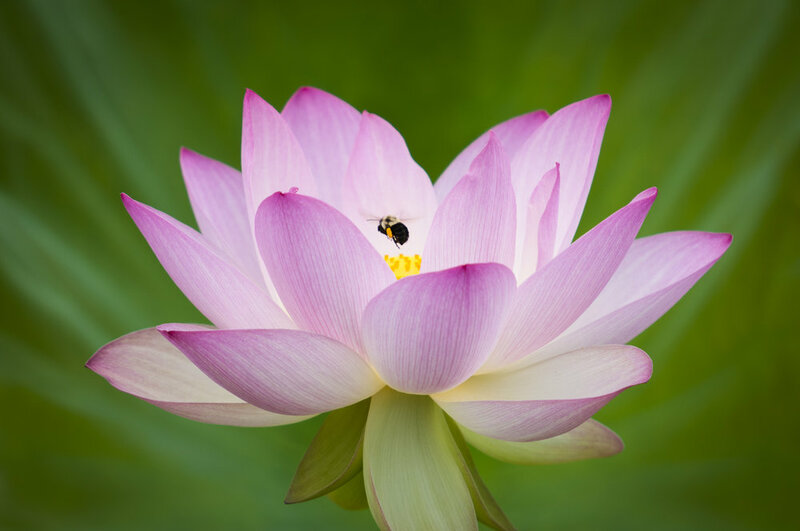 The final version of Lotus Flower And Bumble Bee is available for purchase as wall art or on a variety of products. The list of resources below contains affiliate links and I will be compensated if you make a purchase after clicking on my links. This is at no extra cost to you. Tim Fitzharris' National Audubon Society Guide to Nature Photography is one of my favorite guides to nature photography. He covers a wide range of topics, from the usual discussions of gear to how to approach wildlife. Of particular relevance to this post is Part Five: The Close-up World, where he discusses working at close range to subjects, often using macro techniques, but also as I did in my lotus photos, using a telephoto lens with teleconverters. 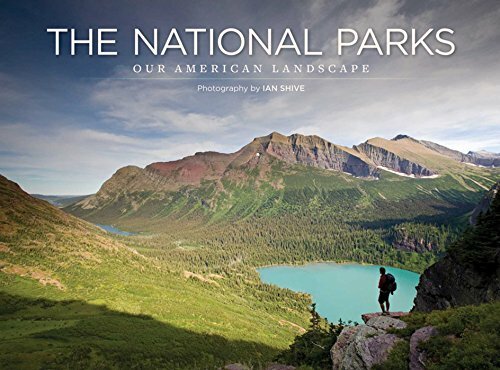 Also included is an entire chapter about photographing wild flora. Tony Sweet has a very artistic, painterly style to much of his photography. In Fine Art Flower Photography, he presents a beautiful sampling of his work. He has created closeups, artistic multiple exposure images, soft focus impressionistic images, and a wide range of others. Each photograph is accompanied by a short description of the technique(s) he used in creating the image. There is some very beautiful imagery within this book, and in fact, the cover photograph is of a pair of lotus flowers. Alan L. Detrick has written an entire book devoted to macro and closeup photography: Macro Photography for Gardeners and Nature Lovers. Having an entire book devoted to a single topic gives him the opportunity to really delve into the topics. 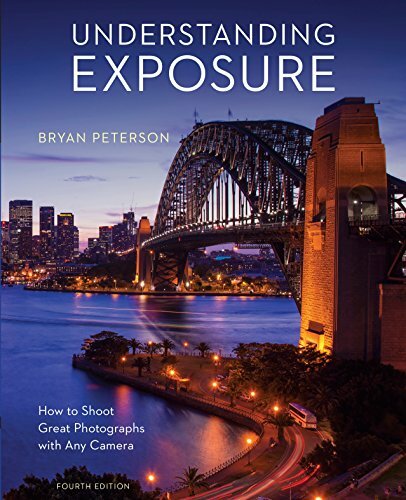 He covers the gear, as most books do, then moves on to looking at images and how to develop your own photographic style. He explores the different potential subject material, then goes on to walk you through various digital workflow topics. If you prefer audio and video over books then consider the following CreativeLive classes. 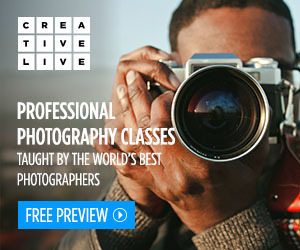 If you're unfamiliar with CreativeLive, click any of the links and check them out. They stream live and re-broadcast classes on a large range of topics, including photography & video, arts & design, music & audio, craft & maker, and money & life. The classes are free to watch during the live stream and re-broadcasts. Create a free account and RSVP for upcoming classes. They'll send you reminders about the class and you'll get access to some content only available when you RSVP or purchase. If you decide you like the class and would like the opportunity to watch it in HD anytime, or download the video files to watch offline, then purchase the class. Some special bonus content is only available with purchase. I've been a member for years and have purchased dozens of classes, including the two below. If you'd like some inspiration, if you want a new way of looking at flowers and photography, then I think you'll enjoy this class. Kathleen Clemons is a wonderful photographer who creates beautiful images of flowers, most of them very soft, almost painterly. She often uses Lensbaby lenses, but not always. The class includes just under 4 hours of video, where Kathleen shows examples of photos created with different lenses to help teach their differences, what they can and can't do. She has a way of making images of flowers look ethereal, and very much fine art. I love re-watching this class from time to time. If you haven't heard of Frans Lanting you owe it to yourself to check him out. He's been at this for a while, and loves sharing what he's learned. He has a great personality, very suited to teaching. In this class he focuses on macro, shooting flowers and plants. The class is almost 5 1/2 hours of video, and includes both in studio discussions and videos of him and his students in the field. He has several classes on CreativeLive, and I can recommend them all. It’s that time of year again when lotus and water lilies are in bloom at Kenilworth Aquatic Gardens in Washington, D.C., when they hold their annual Lotus and Water Lily Festival. The day started with rain, leaving us wondering if it was worth the drive if it was going to be a wash out. But the rain was forecast to clear up so we made the trip and it was well worth it. The rain left water droplets on all the flowers, naturally saturated all the colors, and honestly, kept some of the early morning crowds a little lighter than they might have been otherwise, though the crowds did grow as the rain stopped. It’s fascinating all the different people who show up to view these flowers. One day perhaps I’ll photograph some of the people as well as the blooms. Bumble bee above dark pink lotus blossom. There are several streaks of rain on the left side. One thing I noticed this year was some of the ponds contained lotus blossoms that were lighter in color, a very pale pink that almost seemed to glow. The overcast day was perfect for photographing these, no harsh light, no hard shadows. Just an evenly lit glowing lotus blossom. Other ponds held lotus blossoms of a much darker, deeper pink. These had beautiful color, but didn't glow quite like the paler blossoms did. I love the variety. As with last year I found myself looking for insects to add some extra interest to the photos. This year there were very few dragonflies because of the rain, though they did begin coming out after the rain ended. I did manage to capture a couple bumble bees, as well as several other small insects. The most distinctive insect (arachnid, actually) I photographed was a fishing spider. I believe it was a six-spotted fishing spider (Dolomedes Triton), if I've identified it correctly. I found it on a lily pad. When other folks walked closer it dove into the water and disappeared. Fascinating. The lotus blossoms draw the largest crowds, but if your timing is good you can also view some of the beautiful water lilies in other ponds. Kenilworth has a nice variety of water lilies. Some are very simple white flowers, in fact, my favorite photo of the day is of a white water lily. Some of the water lilies are similar shades of pink to those of the lotus. And some of the water lilies are amazing shades of purple, though I don't have any photos of those in this post. The photograph above of the White Water Lily is available in the Shop as wall art or on a variety of products. Search for it under the title, White Water Lily. We usually arrive early in the morning and continue photographing and walking around until we get comfortably tired. But this means we often don't spend a lot of time around the festival events. This year was no different, but we did see the tail end of a presentation by and about Cindy Dyer, an Alexandria-based photographer who was recently honored by the United States Postal Service by having a series of her photographs used on a set of Forever Stamps. She's a very talented photographer and has produced some beautiful images. She is well deserving of the honor.